Parental Alienation in Children as a Mental Illness? It would seem from a recent article from USA Today (online) that many experts are beginning to see the tragic consequences of parental alienation in children potentially as a mental illness. The article discusses one woman’s experience and a childhood lost due to her mother’s premeditated efforts to train her child, Anne, to hate her father in the aftermath of a divorce and child custody situation. The effort of Anne’s mother was so heinous that she was persuaded to lie in court, claim her father was abusive towards her and her mother, and the mother gained custody. Worse – Anne lost much of her childhood and a large part of her adulthood estranged from her father. It’s a common story played out in court rooms all across the United States and beyond. What’s worse, misguided “special interest groups” have now shifted their tactics, replete with unsupported “statistics” which serve to allow parental alienation efforts to continue unabated. Their claims? Well, their claims are that abusive parents are using parental alienation syndrome falsely as a court room tactic and are highly successful in obtaining custody as a result. They support their allegations with bogus statistics that are completely without foundation and cannot be reasonably supported. This is easily seen with only a minimum of scrutiny. Unfortunately, the livelihoods of these special interests are predicated on keeping the family court system clogged with adversarial cases and the easiest way to do it is via parental alienation, false allegations of child abuse and domestic violence, all in an effort to win child custody. In their minds – an allegation = conviction of the targeted parent. No proof necessary here, folks. Scare tactics help keep the money flowing. What’s more, concern has grown that “PAS” could be invoked by an abusive parent to gain rights to a child who has good reason to refuse contact, says Janet Johnston, a clinical sociologist and justice studies professor at San Jose State University who has studied parental alienation. In teens, she notes, parental rejection might be a developmentally normal response. Oddly enough, not only is this claim completely unsupported by any meaningful evidence, the experts never broach the subject of why so many of the alienated parents are fathers. While many would agree that in the teens, parental rejection can be a developmentally normal response – it’s not a gender-specific response according to any of the information we’ve read on the subject. 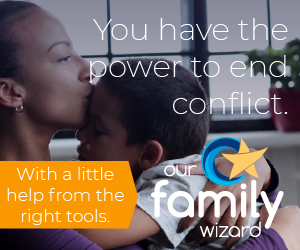 We know that the debate and discussion on whether or not parental alienation rises to the level of a mental illness or “syndrome.” Frankly, when it comes to child custody matters – it doesn’t matter to us one way or the other. One thing that we do know for sure is that children can be taught to hate just as well as they can be taught to love, to read, to do math, to play sports, to learn to dance, to speak a language, and so many other things in life. So, while the special interests can argue over whether or not this is a mental illness or not – we’ll focus on reality. The reality is that in the heat of a custody battle, a vindictive, malicious parent can teach children to hate the target parent – with tragic consequences. “It’s heartbreaking,” says William Bernet, a child and adolescent psychiatrist and professor at Vanderbilt University School of Medicine, “to have your 10-year-old suddenly, in a matter of weeks, go from loving you and hiking with you…to saying you’re a horrible, ugly person.” These aren’t kids who simply prefer one parent over the other, he says. That’s normal. These kids doggedly resist contact with a parent, sometimes permanently, out of an irrational hate or fear. The impact of the systematic alienation of children from the targeted parent can last well into adulthood. To read more about the efforts of experts like William Bernet to have parental alienation added to the next edition of the Diagnostic and Statistical Manual of Mental Disorders and the horrible outcomes for children who are used as weapons against loving parents, see the full article here: Parental Alienation – A Mental Disorder? Great post. It’s about time legal and mental health professionals are starting to recognize the the consequences of parental alienation. This is a huge issue in separating and divoricing familes that has been allowed to go on far too long. The key to protecting both parents and children from parental alienation is education — helping judges, attorneys, and mental health professionals tell the difference between legitimate parental alienation and false allegations of abuse (and vice versa). I just so have a problem with this article. Although I am convinced there are women out there who will use anything to turn the children against their father out of pure spite, there are so many more cases of women who keep the children exposed as little as possible to the covert needling and under the radar emotional abuse. they do it to preserve the child’s mental and emotional well being. The fact that they rarely spend time with their dad is sometimes what is in the best interest of the child. Just because he isn’t a drunk or obviously violent, doesn’t mean he’s not harming the kids when he berates them, makes fun of them, comments how much smarter, funnier, cooler one of their friends is than them, or repeatedly belilttles their opinions or dreams. Sometimes no one else hears this but the kids and mom. Mom is the one that has to pull double duty wiping the tears and rebuilding the self esteem…damage control. There’s always 2 sides to a story…..
Melissa – it’s not fair to claim “there are so many more cases of women who keep the children exposed to as little as possible…” This notion that the majority of men and fathers are evil is as a stereotype that drives the hysteria and results in such disparities in child custody awards. Both parents are susceptible to engaging in such negative behaviors and, as it stands, moms are in a much greater position to engage in it. That’s not to say that fathers don’t. They absolutely do and we see it that side of the equation, too. However, when it comes down to the “he-said, she-said” situations, all too often that is to the detriment of a relationship between fathers and children. Regardless of who is doing it – it isn’t appropriate in the least. However, a mere accusation isn’t enough to deprive children from the love and affections of one of their parents. You should make a newsletter that we could send to to the abuser, to show her which mental problems she can cause in her child when the father is a target for reveange. Does anyone know of any Therapist, Counselors, Judges, Attorneys in North Carolina who recognize and acknowledge Parental Alienation and/or would be willing to help share how we can educate others on the “subject”? ONE AGAIN YOU HAVE GOT IT WRONG. IT IS NOT A COMMON STORY THAT WOMEN LIE ABOUT ABUSE. ONLY 3% OF WOMEN LIE AND 97% TELL THE TRUTH. Parental Alienation is a notion of a child molester not a psychologist or someone in the medical field. Most of the people who use PA in the courts are abusive men trying to confuse the court and punish the woman, and it works. Louis’ Mom – I’m sad you continue to parrot out the same sad, tired, gross misinformation. You’re flat-out wrong and no amount of you repeatedly asserting that what you are saying is true will ever make it so. I had a good mind to disallow your disgraceful comment, but I think it’s more important to show the world that people with your type of attitude exist – and are dangerous. To those who think like Louis’ Mom, I believe that you are just the type of women that are being refereed to when speaking of Parental Alienation. Here is another perspective for you : I am a child of divorce and my father was awarded full custody and raised my sister (age 9 at the time) and myself (age 12 at the time) by himself. My father fought a long hard custody battle that my sister and I were never involved in. We did attend counseling sessions, however my father told us they were to help us cope with the divorce – I realize now that they were probably court mandated. He did everything in his power to shield us from the proceedings, even moving us to upstate New York where both sides of my family are from and live (we were residing in Texas at the time of my parent’s split). Now, while I will never really know what all was said in those proceedings, I am sure plenty of it could not have been too good, as my father walked out with full custody of two little girls with child support rights (which, I now understand my mother never paid and my father was nice enough to not be vindictive and report her. Later in life, when I asked him why he did not, he simply replied, “Honey, you can’t draw blood from a stone, and it is as simple as that”) – but back to the point, he walked with the courts siding completely in his favor in 1997, at a time where that was very rare, especially since my mother was a stay at home mom all of those years. While I realize now what most of the truths were at the time, I was completely unaware then. While, I am sure, my mother griped and moaned to anybody who would listen about how she felt things were unfair, and definitely tried to pull the PA card on my father because he was a male and how could he be telling the truths of a stay at home mother who loved her children. To this day, my father has never spoken a bad word of my mother. I eventually put some of the puzzle peices together over time and came to my own truths. But one thing is for certain, my father had to of fought long and hard for what he believed in, and thank goodness he did because I can’t imagine my life any differently. These woman that hold onto the notion that men are the enemy and if he should choose to fight for what he believes in (custody, visitation, whatever) then there must be some time of ulterior motive are severely misguided. I can say first hand, not everybody is better off with mommy.